Is Your Critical Nature Ruining Your Life? "Constantly scanning the world for the negative comes with a great cost. It undercuts our creativity, raises our stress levels, and lowers our motivation and ability to accomplish goals." Achor goes on to support this statement with case studies and illustrations. Even if he didn't, the truth in it resonates with me. 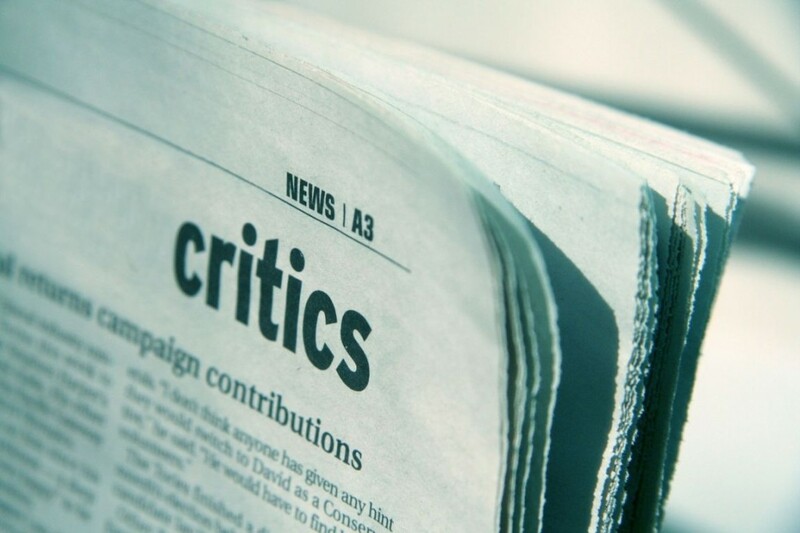 How can I be an effective critic without becoming a negative person? That's tough. In the past few years, I have been conscious about how negativity can affect every area of my life and how easily I can find fault with everything around me. Here's how I'm fighting it. Not a critic, but a servant.Â That's perhaps the most difficult of all the shifts I have had to make over the years. I'm not hired to be a critic, even though some of my observations might come across as criticism. I'm ultimately hired to serve an organization, a cause, or a person. My contribution is not only to point out what's wrong, but to help find a solution. First the positive. No matter the circumstance or dilemma I'm dealing with, there are always a lot of positives to recognize. Â It's easy to focus on the 20% that needs to change than on the 80% that's working well. A kind heart. Difficult conversations are a lot less painful when they are encased in gracious language and attitude. I remember as a young professional watching a well-known consultant use condescending language as he reported his findings to a group of leaders. It didn't make him look good or smart in my eyes. It made him come across like a big ugly jerk that I wouldn't want to ever hire or emulate. Do you agree with Achor? How do you keep from being negative?